It was love at first sight. Even as we disembarked from the bus, stretched our weary legs and wandered the dusty streets in search of a place to stay, I was head over heels. The object of my affection is a small speck of a town on a desert plain in far north Chile. 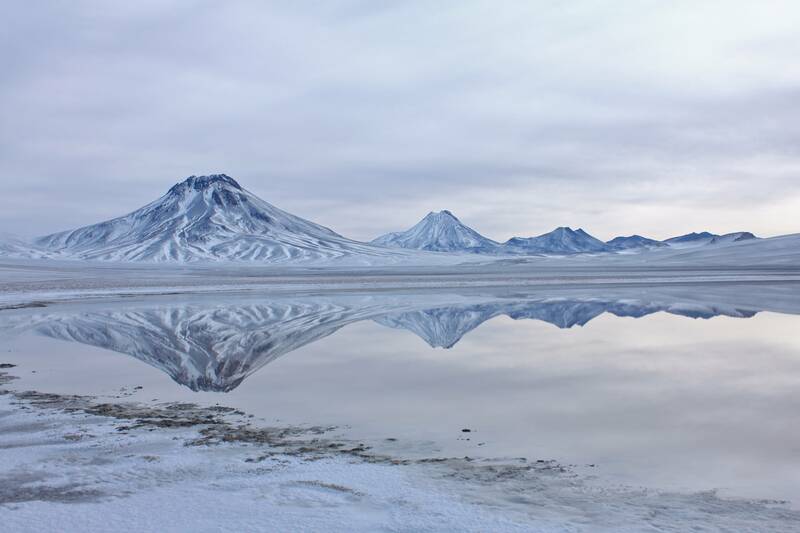 They call it San Pedro Atacama. 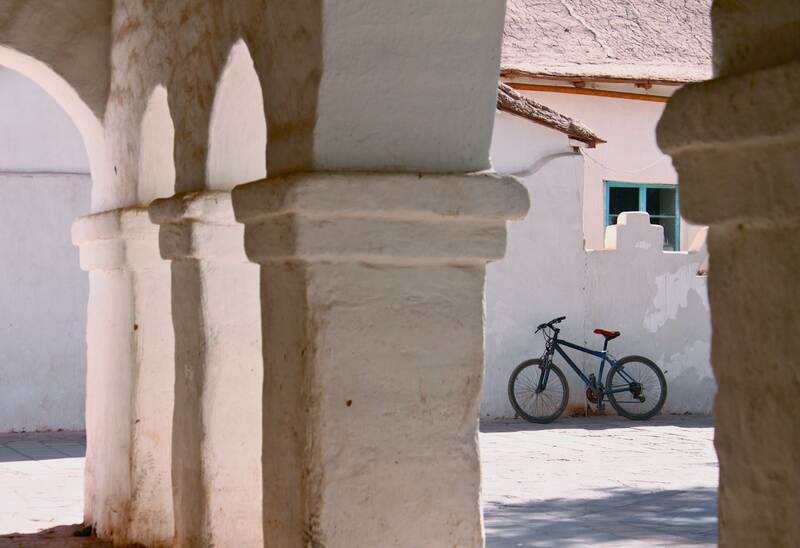 It’s a ‘blink and you’ll miss it’ ramshackle of adobe mud brick houses and hardy desert trees. In fact, I’m not even sure it’s considered a bonefide town, with signs merrily declaring it a commune (although I swear I spotted a sign with the words ‘University’ behind the town’s Plaza de Armas). In any case, as soon as you wander its labyrinth of narrow unpaved laneways, you really do feel like kicking your shoes off, grabbing the nearest guitar and joining the locals to sing its praises. This place is seriously chilled-out. Surprisingly, we almost missed it. It was only a last minute call that we decided to end our 3-day Salar de Uyuni tour in the tiny town (close to the border of Chile and Bolivia) rather than in Uyuni where we started. And we’re glad we did. The only question was how long to stay as we were scheduled to fly from Salta (Argentina) to Iguaçu Falls at the end of the week. Funnily enough, it didn’t take long to decide after having an afternoon nap in a hammock and a bottle of wine beside a crackling bonfire in an open-air courtyard later that night with our newfound traveling companions. 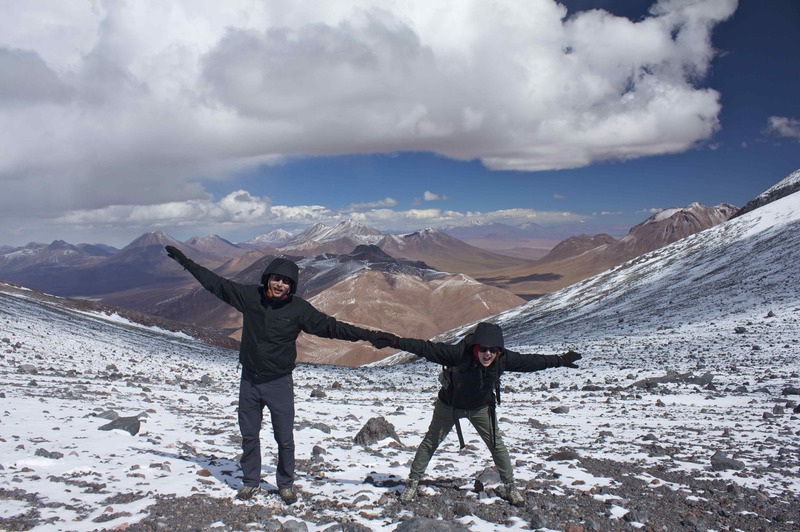 However, San Pedro Atacama is more than just a bohemian artist colony with dreadlocked buskers and juggling street performers. Sure it feels a little tourist-ready at times, but for good reason. The town is only a stone’s throw from some of the most spectacular scenery in the country as well as a whole host of outdoor adventure activities. Predictably, the GLG and I didn’t stay rocking in our hammocks for long. 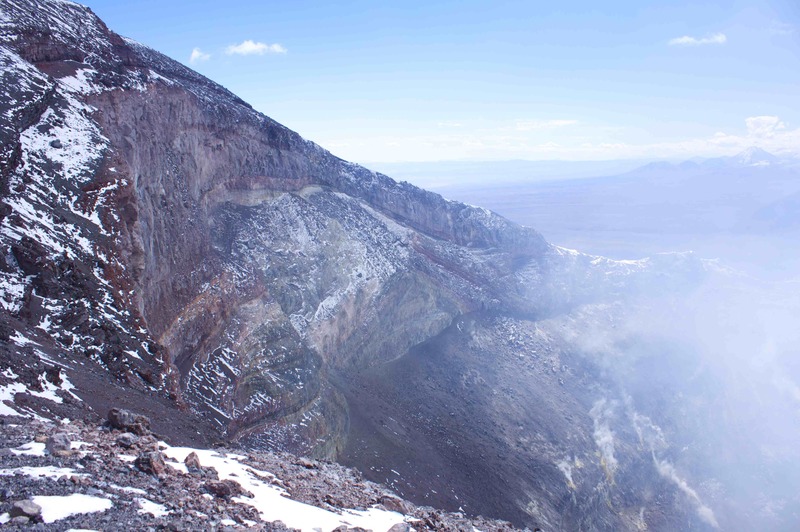 The lure of climbing a live volcano at over 5,600m in a day was an opportunity too good to resist. More on the expensive side than some of the other equally worthwhile day trips (such as our night of stars and planets with a well known international astronomer), we wanted to peer into the eye of a living and breathing volcano. Setting off at 5am, we drove in darkness for a couple of hours before the sun crept up over the moonscape, casting an eerie glow over the silent and deserted land. The temperature had dropped during the night and the ground was covered in a thin layer of white snow. It was going to be a cold day indeed (a dramatic contrast to the blazing heat of San Pedro Atacama). 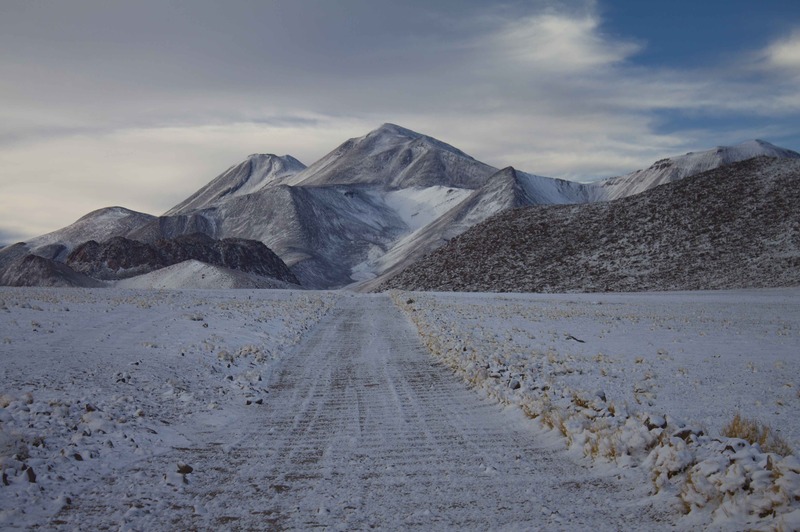 After 4 bumpy hours over a pot-holed riddled desert ‘road’, skidding occasionally on the fresh snow, we arrived at the base of Lascar Volcano. Looking up at its steep and shale-like walls, we could see a cloudy haze of yellow sulfuric smoke rising up in the still morning air. 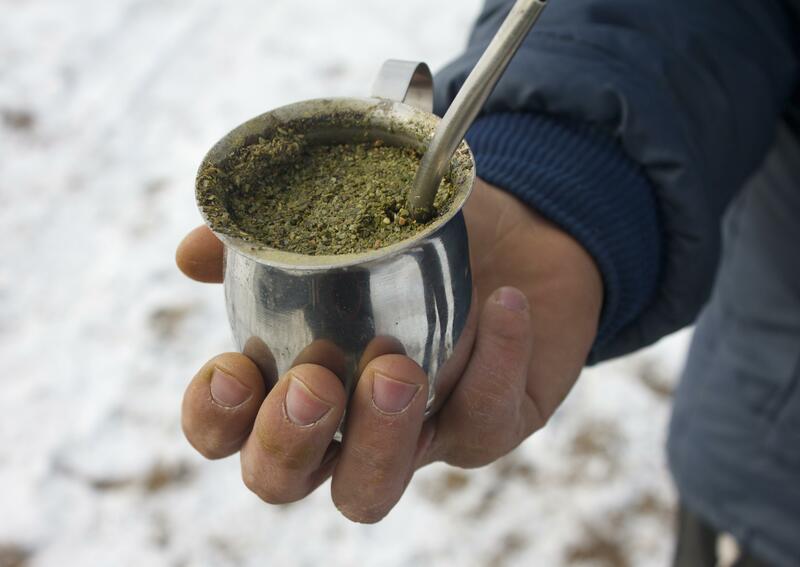 Our trusty guide handed us a hot mate tea (an incredibly strong and thick tea sipped using a silver ‘straw’ making it look like you’re smoking a pipe) and a small breakfast to get us ready for the long climb ahead. With approx 3-4 hours climb up a continuous steep ridge of thick snow and loose volcanic rocks, we certainly needed the energy. The three of us must have looked quite a sight too as we regularly stopped to level our breathing (which becomes incredibly laboured at that altitude), flapping our arms to open our lungs and breathing out with loud yogic exhalations. 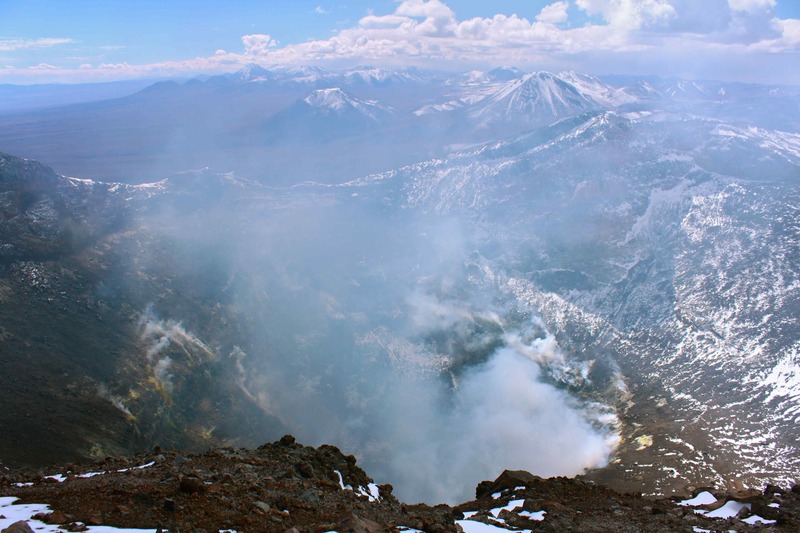 After what seemed like forever, we finally reached the summit and looked straight into the eye of the biggest, meanest and awe-inspiring crater I’d ever seen (okay, so it was my first volcano ascent so I had nothing to compare it to but you catch my drift). It must have been at least 1.5-2kms in diameter and too deep to see the bottom. Thick yellow plumes of sulfur smoke billowed into the air and hissed from hidden vents in the crater’s walls. Listening carefully, we could hear a faint crackling coming from deep within the earth. Up on top of Lascar you almost feel like you need to stand in a constant state of readiness incase the unthinkable happens. Our guide told us that the locals believe that Lascar is preparing for another eruption, much like the one that destroyed the small village we passed on the way in. They can feel it in the ground and they wait for the inevitable signs. I have no doubt they could be right as it certainly felt very much ‘alive’ when we were standing on the rim in the blowing wind. We decided it was best to give Lascar some space, and we high-tailed it down the slope in record time. You just never never know, do you…and you certainly don’t want to be within breathing distance when it decides it’s had enough. 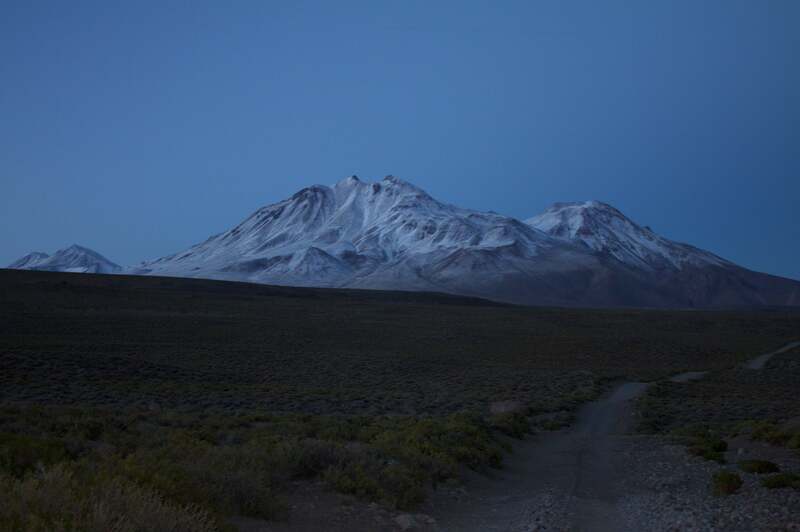 This entry was posted in Adventure and tagged astronomer, bonfires, Desert, hammocks, San Pedro Atacama, Volcano. Bookmark the permalink. even better! U got it all to your selves!!! !